Real Racing is the game that has long claimed to have the best graphics around, and with Real Racing 3 looking prettier than ever, developers from Firemonkeys will have one more reason to brag about. 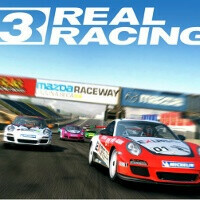 Real Racing 3 is finally expected to launch on iOS in February, after an early announcement in August and a demonstration at Apple events, showcasing the graphical power of the new iPad. What’s interesting is that in this latest video release, the developers are explaining the actual process behind making the tracks from scratch, using the streets of Melbourne to model it. Real Racing 2 shocked us with its amazing graphics when it launched more than a year ago, but now its successor seems to have lifted the bar even higher. February couldn’t come soon enough. I can't wait to try it on my iPhone 5, although need for speed most wanted is pretty great too. "February couldn’t come soon enough"....dont say that....i have exams in feb..
Those who care for Graphice this game is for them but Those who want Racing Action + Graphic then Play Asphalt 7 and NFS: Most Wanted. Real Racing got Nice Graphic but the Gameplay is Boring as Hell. Yh found rr2 boring...played well looked awesome but didnt have any fun factor...where as with asphalt you get great graphics aswel as well a nice fun arcade racing game...wouldnt mind a rr3 with arcade mode.